I’m quite new to Birmingham FOE and on Saturday I attended the West Midlands regional gathering. Overall I felt the day was a success and I was made to feel very welcome. I particularly enjoyed learning about the achievements made by campaigns in other areas of the West Midlands, in addition to gathering a more informed insight of the challenges that the West Midlands FOE faces on the whole. There was a wide range of varied activities on offer throughout the day, including talks, group work, and workshops as well as a very tasty vegetarian shared lunch! For the first time the regional gathering was inviting not just Friends of the Earth groups but allies working on similar issues across the region. So there were representatives from Burton TCV as well as Divest WMPF and CANWM. The afternoon was given over to exploring ways that climate campaigning can develop across the region and how we can support each other more effectively. 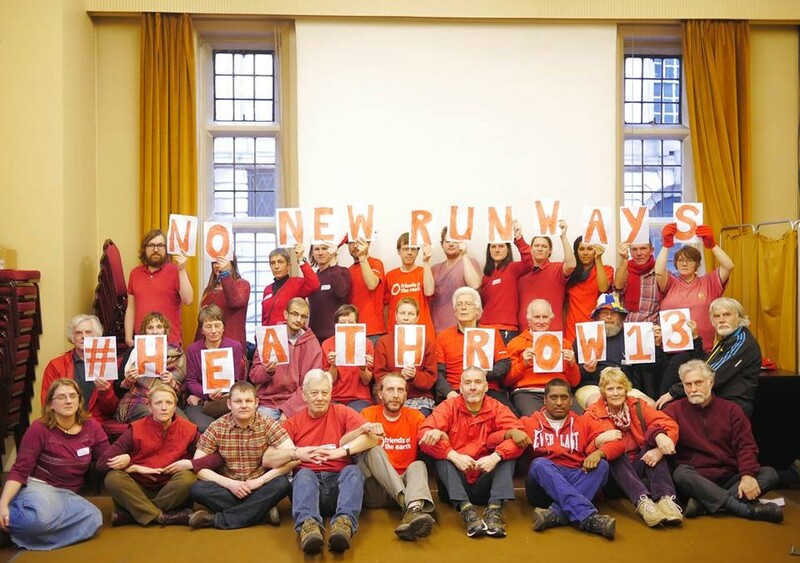 There was also the opportunity to pose for photos in silly hats and we did a solidarity action for the Heathrow 13. I found it highly useful to hear the opinions and experiences of the wider FOE network, whilst sharing ideas for future campaigns with like-minded individuals. I now look forward to supporting future FOE campaigns and sharing our message with a far wider range of communities.